A meeting place for drinks or a meal any day or time of the week with it’s relaxed atmosphere. The Pier Bar has possibly the most enviable location in Cairns, overlooking the water, across the Coral Sea of incoming boats and yachts. The Pier hospitality is down to earth with our large open deck filling with locals and tourists as the sun sets. We have delicious wood fired pizzas and char grill food on offer and a large range of local and international beers. Pier Bar is decked out in modern decor inside and out. 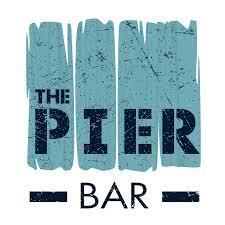 The Pier is traditionally known for it’s Sunday Sessions but has now established itself as a fabulous meeting place.